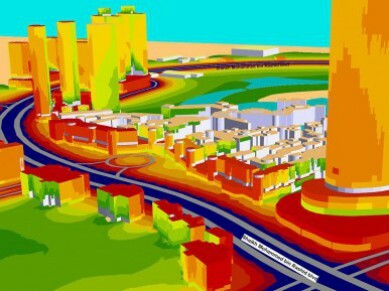 VIBROCOMP provides measurement, prediction, modelling and mitigation measures for existing or future developments. 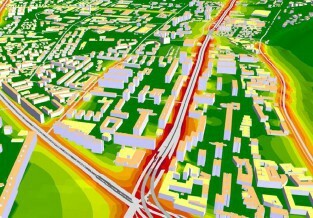 Based on measurments and/or model calculations we can estimate the pollution levels from roads, highways, city trams, subways, railway lines, airports, and all kinds of industrial facilities and seaports. VIBROCOMP also provides reduction action plans with cost optimisations, customised solutions to be implemented in the planning phase to reduce exposure to pollution in the future. 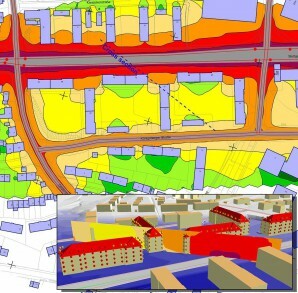 Vibrocomp has developed the most effective mapping and planning tool, our methodology gives quick and accurate calculations that allow us to create viewable models for any area of any size in order to complete efficient and cost effective figures for our customers. "We make the noise visible" for easier understanding and design reduction measures for our Clients to benefit from a sustainable development. In modern life aircrafts are one of the most disturbing noise sources. Vibrocomp determines and reduces the noise coming from aircraft operations in the vicinity of airports. VIBROCOMP predicts aircraft noise from existing and planned airports or airport expansions, we determine the noise protection zones around airports and deliver cost effective solutions to reduce aircraft noise. Land use planning should be always carried out when planning new developments at airports. The study can take future aircraft operations as a basis. 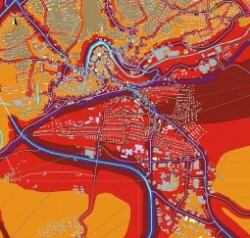 In the results for example the RED noise zones shows where residential areas cannot be planned, and where only industrial sites should be developed. At Budapest Airport, where Vibrocomp is responsible for environmental noise protection since 2008 Vibrocomp’s work consist of noise measurements, noise prediction /modelling/ of current and future aircraft operations, noise reduction planning, support in PR communication and any other noise related issue at the airport. Public complains around the airport dropped by over 80% since 2008 as the result of the major achievements in noise protection by the Airport supported by the professionalism and expertise in noise reduction and public communications of Vibrocomp. With the number of aircrafts maintained in the two main maintenance centres in Budapest increasing, the capacity of the existing aircraft engine test facilities in Budapest slowly became insufficient. Therefore, engine tests had to be carried out in free field without proper noise protection. VIBROCOMP measured and predicted the emitted noise levels from the engine tests of the most common aircraft types, based on which, a cost effective, low noise aircraft engine test facility was planned. This low noise test facility fulfils the high standards set and significantly reduces the noise at the neighbouring commercial and residential areas. Architects can benefit from our model prediction when considering an environmental friendly and sustainable development with comfortable interior noise levels. Usually mitigation measures are best and cost-effective in the planning phase. For buildings neighbouring airports, roads or railroads we are able determine the future effect on people, and if mitigation measures are necessary. Facade Noise Maps are able to present the noise level at every single point at the facade of the building. 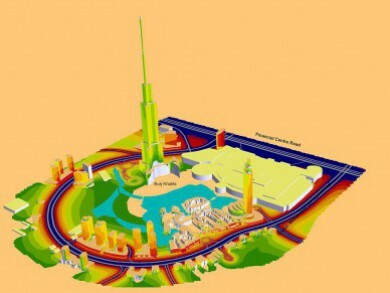 In the illustration the 3D building models are coloured according to the real noise levels at the facade of each floor of each building. Based on the model calculation you will know exactly which cost-effective noise abatement measure is needed at every floor to ensure comfortable interior noise levels. Facade Noise Maps support building design. Based on facade noise maps one can take the noise load of the different facades of the building in decision, when developing apartment / office layouts. Building Acoustics to ensure comfortable interior noise levels! Prediction and mitigation of structure born noise. Vibrocomp predicts Vibration at buildings close to rail bound transport infrastructures, if necessary cost effective building insulation is planned. Vibration prediction and mitigation of duct systems. Vibrocomp ensures that all mountings are appropriate for the design loads, operating and environmental conditions. Vibrocomp carries out vibration prediction calculation on a model to ensure, that the isolators selected are appropriate for the operating weight of the equipment and are positioned for equal deflection. Vibrocomp provides all necessary information, including but not limited to actual loads and running speeds, to the vibration isolation specialist/supplier to enable final isolator selections to be made. Selection shall allow for uneven load distributions such that the minimum deflection is achieved on all vibration isolators under normal operating conditions. Constructions come usually with short term very high levels of noise and sometimes vibration. 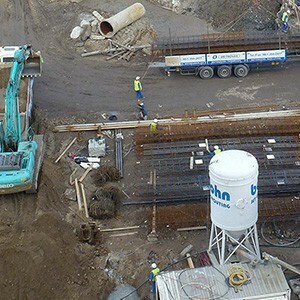 In order to minimize the effect of constructions on the neighbouring sensitive areas VIBROCOMP measures models and predicts the noise and vibration coming from construction activities. Mitigation measures are the best and cost effective, when planned in the preparatory phase of the constructions according to the organization plan. 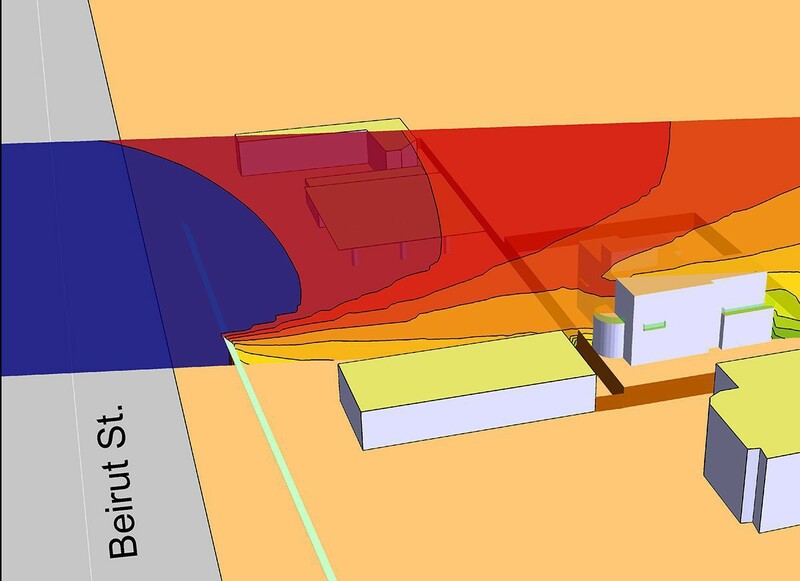 Noise calculations in and outside: noise coming from the outside sources can be modelled inside buildings such as workshops, warehouses, etc. It is considered unlikely that sufficient information will be available on the specific plant items. Vibrocomp collects the necessary input data, wherever input data is not available Vibrocomp uses either company internal data from previous similar projects or maximum plant noise emission limits to be calculated and set in relation to the nearest sensitive receptors. 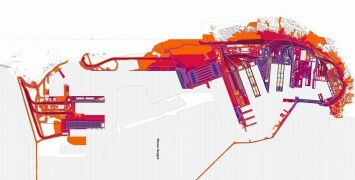 Vibrocomp sets up for the noise calculations a 3D model of the industrial area. Noise calculations will be carried out on this noise model. Vibrocomp has significant references in the Power, Mining, Oil and Gas industry. The Port of Constanta is the largest on the Black Sea and the fourth largest in whole Europe. The port is located in Constanta, Romania, on the western coast of the Black Sea., 179 nautical miles (332 km) from the Bosphorus Strait and 85 nmi (157 km) from the Sulina Branch, through which the Danube river flows into the sea. It covers a total are of 47 km2. VIBROCOMP prepared and used the noise model to predict and to reduce the noise coming from the over 1500 different noise sources of the port. The noise level of every group of noise source has been measured individually. VIBROCOMP planned cost effective noise reduction measures to ensure that limit values at the neighbouring residential areas are met. Mátrai Erőmű with an installed output of 836 MW is the largest coal-fired power plant in Hungary. Its main profile is electricity production providing up to 13% of the national demand. This electricity is produced from a local energy source: lignite. The lignite production in Visonta and Bükkábrány takes place through strip mining. According to strip-mining technology, the dirt beds (clay, mud, sand etc.) above lignite seams must be removed first then dead materials must be backfilled into the mine-openings. As soon as one of the trenches are exhausted, mining goes further on and any exploited dead materials are to be inserted into the hollow of the previous area. Winning coal occurs with help of crawler-bucket ladder excavators and one-bucket dredgers. The materials won are transported with a network of conveyor belts. 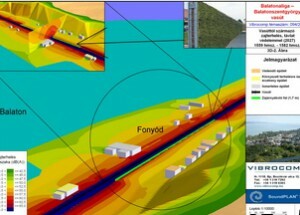 VIBROCOMP prepared and used the noise model to predict and to reduce the noise coming from over 1000 different noise sources at the two mines and the power plant. The noise levels from every group of noise source have been measured individually. For the model calculation VIBROCOMP prepared very detailed three dimensional terrain models for future excavations. VIBROCOMP planned cost effective noise reduction measures to ensure limit values at the neighbouring residential areas are met. 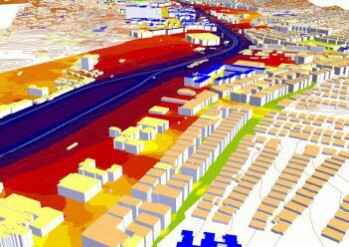 VIBROCOMP is expert in noise prediction and abatement planning for existing and future urban roads and motorways. In the EU VIBROCOMP planned noise reduction (eg. 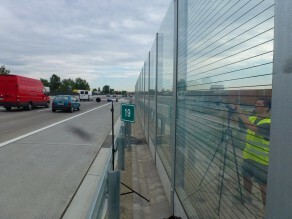 barriers) for over 1200 km of existing and future roads, including full sections of the busiest A1, DJ68, DN1, DN59, M0, M1, M2, M3, M5, M7, M9, M15, M35, M85, M86 motorways. 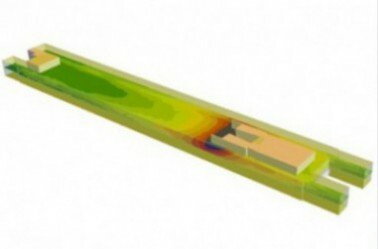 Vibrocomp supports rail infrastructure development projects with noise model calculations and noise abatement plans. VIBROCOMP is expert in noise and vibration prediction and abatement planning for existing and future railways. 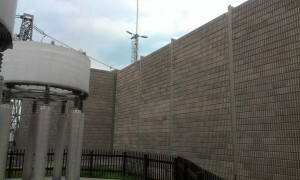 In Hungary and Romania VIBROCOMP planned noise reduction (eg. barriers) for over 600 km of existing and future railways, including full sections of the busiest Budapest-Balatonszentgyörgy, Budapest-Hegyeshalom, Budapest-Nyíregyháza, Cluj-Napoca-Oradea, Cluj-Napoca–Turda, Gyoma-Békécsaba, Pitesti-Bucuresti, Sopron-Szentgotthárd and Timisoara–Arad international (cargo) railways. When it comes to environmental friendly urban public transport development subways and tramways are the preferred alternatives. VIBROCOMP is expert in calculating the noise and vibration from rail bound public transport. 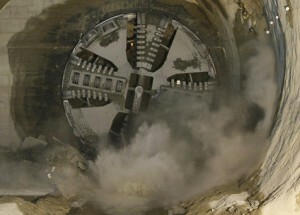 We also deliver cost effective solutions to reduce the noise and vibration in the vicinity of the new lines. 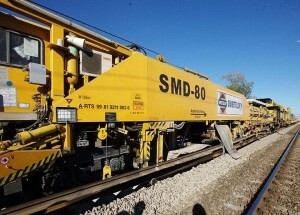 VIBROCOMP planned noise and vibration reduction for over 500 km of rail bound urban public transport systems in Hungary and Romania, including metro line nr 4., the cog wheel line, tramlines 1, 3, 17, 19, 42 in Budapest, tramline nr 101, 102 in Cluj-Napoca, tramline nr 100, 102 in Craiova tramline nr. 2 in Debrecen tramline nr. 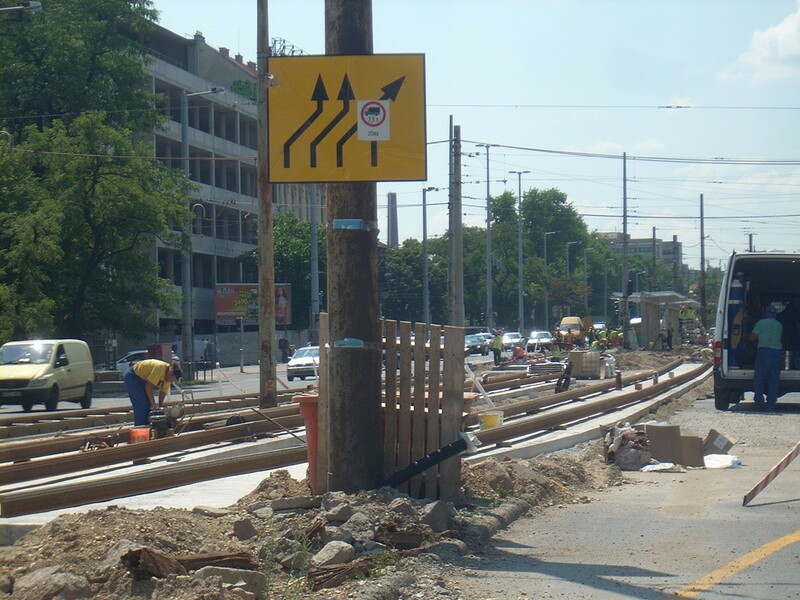 4 in Szeged and tramline nr 1, 2, 4, 6 in Timisoara. 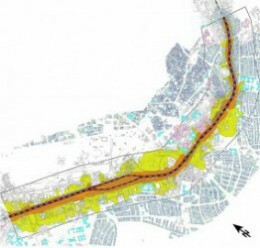 Our experts have been also involved in the planning of the Tripoli Metro line in Libya. 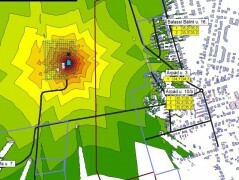 Based on the noise models Vibrocomp will determine the noise in the different scenarios of the proposed development. If it is necessary cost-effective mitigation measures will be identified and the achievements presented on the noise model. Difference maps will be drawn up to present the difference in noise levels! VIBROCOMP has prepared sustainable environmental friendly urban development plans to improve the quality of life in major cities like Budapest, Cluj-Napoca, Craiova, Debrecen, Győr, Kecskemét, Szeged Timisoara and Tripoli.